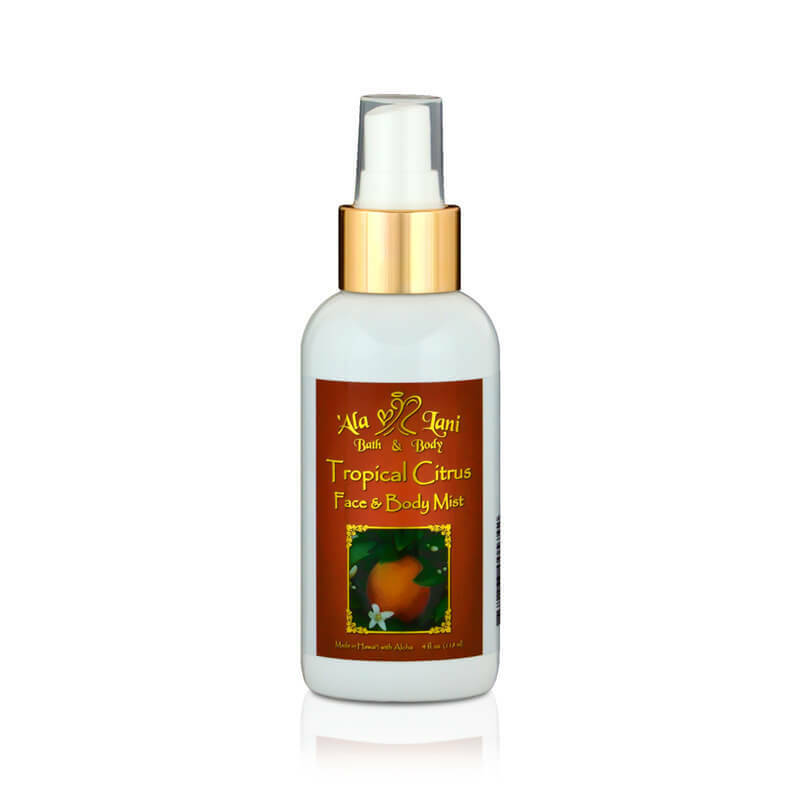 Tropical Citrus Face and Body Mist is infused with a synergy of citrus essential oils and organic Hawaiian herbal extracts. These will hydrate your skin, envelope your senses, and remind you of your tropical vacation wherever you may be. Spray the citrus essential oil mist over your entire body. Sit back and imagine yourself in the warm Hawaiian sun. What paradise!